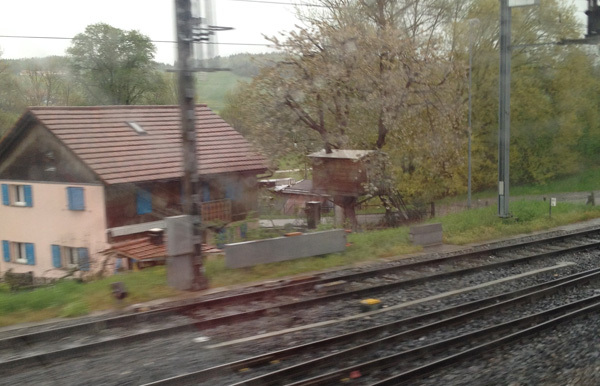 How many treehouses can you see from the train? 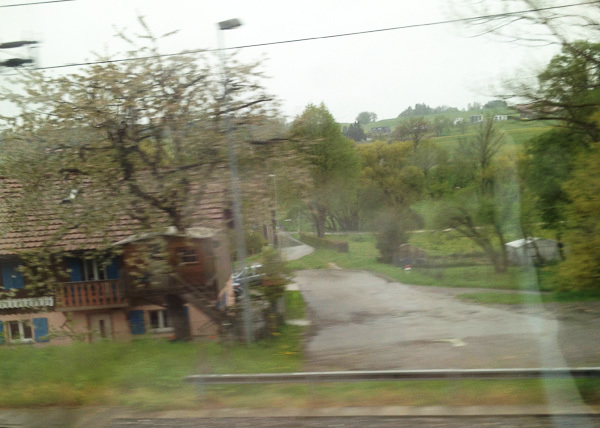 Last Saturday I was travelling from Zurich to Lausanne with my sister, when she exclaimed: ” A treehouse!! !” pointing her finger at the window. 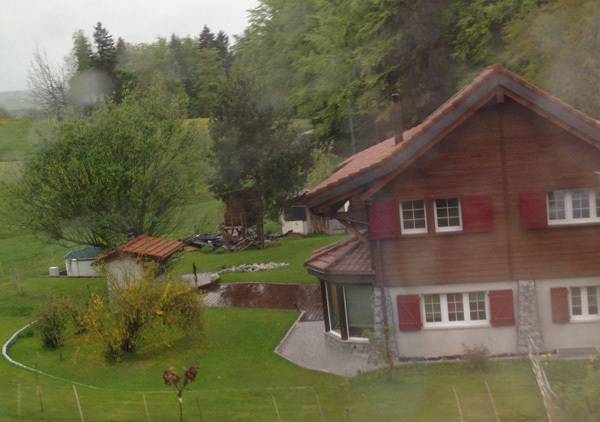 Then I started to look at the window and we could see other two treehouses! Coming back I decided that my mission was to take a picture at these treehouses, unlucky the result wasn’t what I expected! f you travel, take a look outside instead of your smartphone, you could have wonderful surprises!